Mr. Patrick Carton is a full time consultant at the Whitfield Orthopaedic and Sports Clinic, Waterford. He graduated from the Queen’s University of Belfast in 1995 and trained in the speciality of Trauma and Orthopaedic Surgery between the years 1997 – 2005. During this time Patrick Carton was awarded a Doctorate of Medicine (M.D.) at the Queen’s University of Belfast for his research into the ‘Quantification of fracture healing using digital radiography’. Following his initial appointment as consultant in the Southern Health Trust in Northern Ireland (a large trust serving a population of approximately 400,000) he was promoted to Clinical Director of the Trauma and Orthopaedic department; a post he held until his move to the Whitfield Clinic in September 2008. Mr. Patrick Carton has worked as a member of an international teaching faculty, training surgeons in the technique of hip resurfacing (2004 – 07); he is presently an active member of a UK faculty, teaching surgeons the techniques of arthroscopic (‘keyhole’) surgery of the hip. Hip and groin surgery is his speciality - he is one of the leading surgeons in hip arthroscopy and is an active member of the International Society for Hip Arthroscopy. 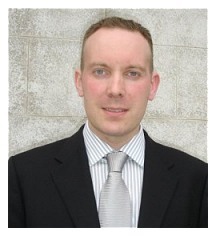 Mr. Tadhg O’Sullivan is a full time consultant and the Director of the Whitfield Orthopaedic and Sports Clinic. He graduated from University College Cork (M.B., B.Ch., B.A.O.) in 1978; he was awarded a Masters (Ortho) from Liverpool University in 1990 and Fellow of the Royal College of Surgeons (FRCS), in Orthop aedics surgery, from Edinburgh University in 1991; in 2006 he received an Honary Fellowship from the Faculty of Sports and Exercise Medicine, at the Royal College of Surgeons in Ireland. Betweens the years 1993-2007, he worked as a Consultant Orthopaedic Surgeon to the South Eastern Health Board. In 2007, he moved his practice to the Whitfield Orthopaedic and Sports Clinic. Mr. O’Sullivan was invited to become a Design Surgeon by Johnson & Johnson, Depuy International and helped developed the ASR Hip Resurfacing Components and Technique (see video on the Procedures page). 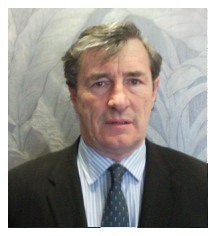 He has also worked as a member of faculty for teaching techniques in Arthroscopic Knee Surgery, RCSI from 1996 – present. Mr. Tadhg O’Sullivan is a specialist in Hip/Knee Reconstruction and has an interest in General Orthopaedic and Sports related conditions. A Location Map is shown on the Contact page.